“Once there was a cat named Betty. 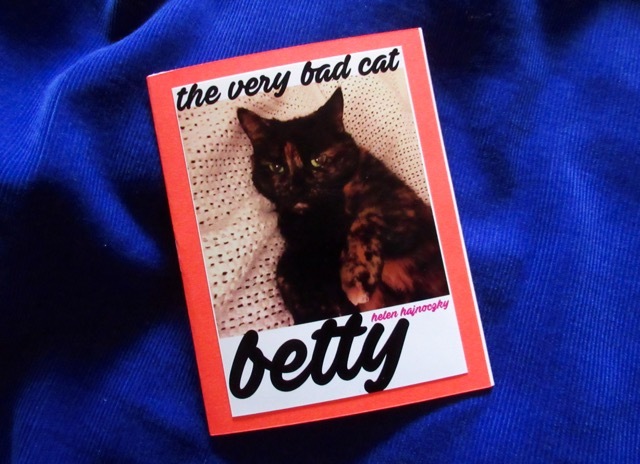 This chapbook for readers of all ages explores the true adventures of Betty, the very bad cat, through a light-hearted, narrative poem. Betty is equal parts adorable and demonic, cute and frightening. Follow her on a typical day of mischievous plots, Machiavellian manipulations, and masochistic mayhem. This chapbook was originally created for Calgary Canzine 2018. Copies are available on their own, or as part of the Canzine ?! Press Pack.